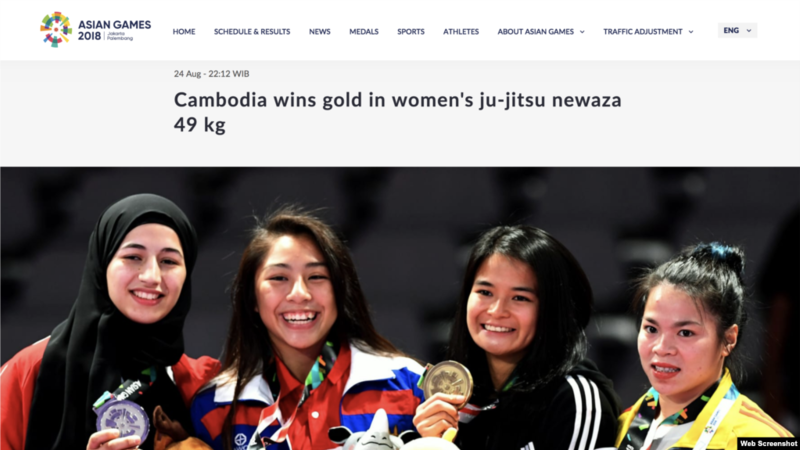 WASHINGTON DC — Jessa Khan, a 16-year-old Cambodian jiu-jitsu athlete, beat Mahra Alhinaai of United Arab Emirates on Friday at the 2018 Asian Games in Jakarta, for Cambodia’s first gold of these games and in this event, according to the organizers. Read Full Article. Soka Chen is a Girl Rising!